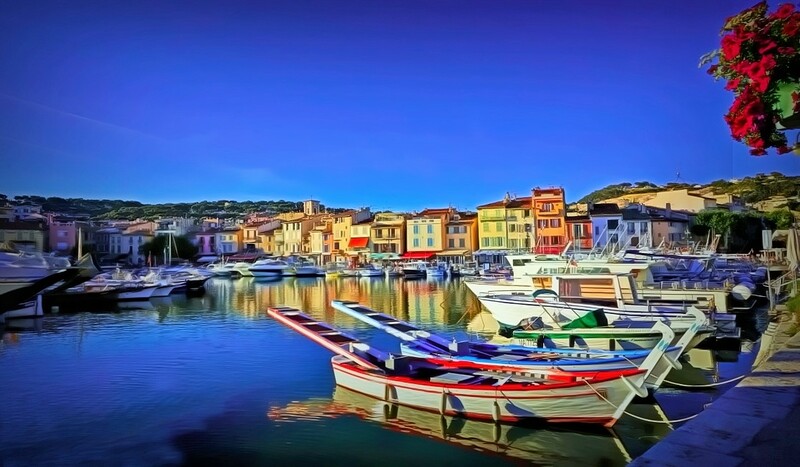 Cassis in southern France, just a short distance from Marseilles, feels like it was put together by a painter. It is a delight to your eyes everywhere you turn. 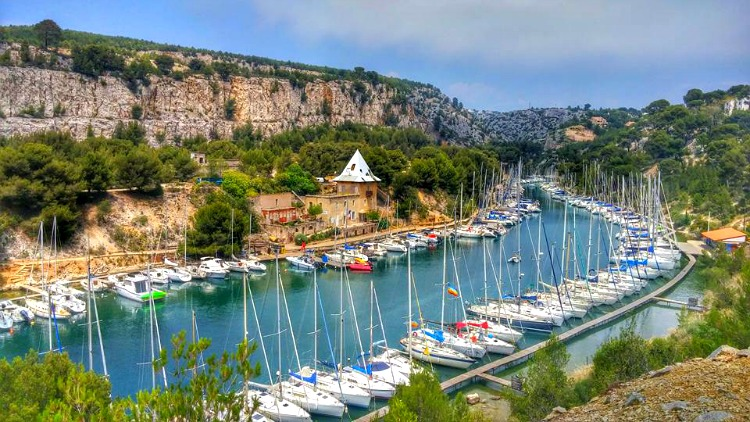 You will easily fall in love with its fishing village charm, outdoor cafes, fabulous food, dramatics cliffs reaching the Mediterranean Sea, and Chateau de Cassis overlooking it all. This little treasure of French Rivera delivers all you need for a great vacation. 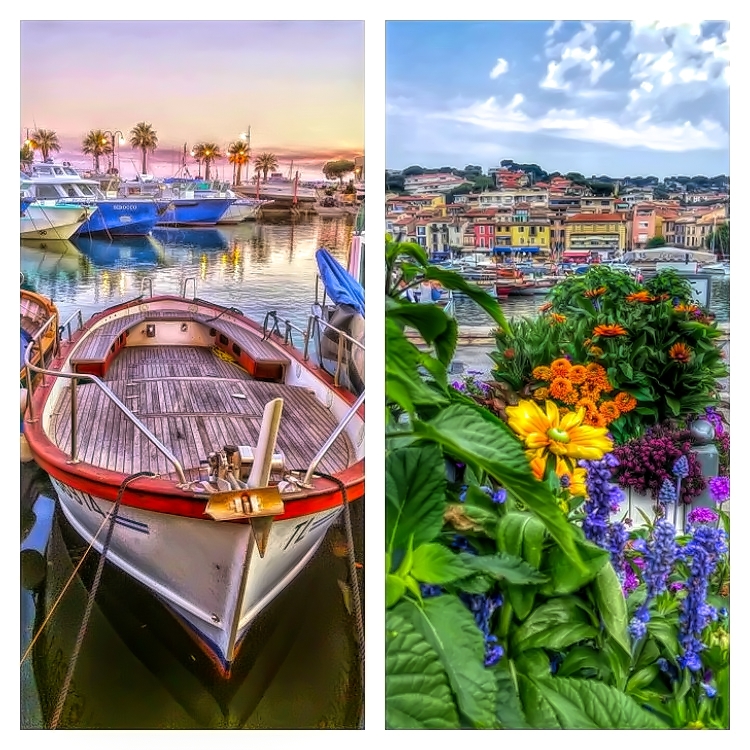 My visit to Cassis was a part of a two week trip to southern France and my last stop at French Riviera before my departure back to the USA from nearby Marseilles. The whole region of Provence took my breath away, but Cassis made me fall in love with it on the spot. 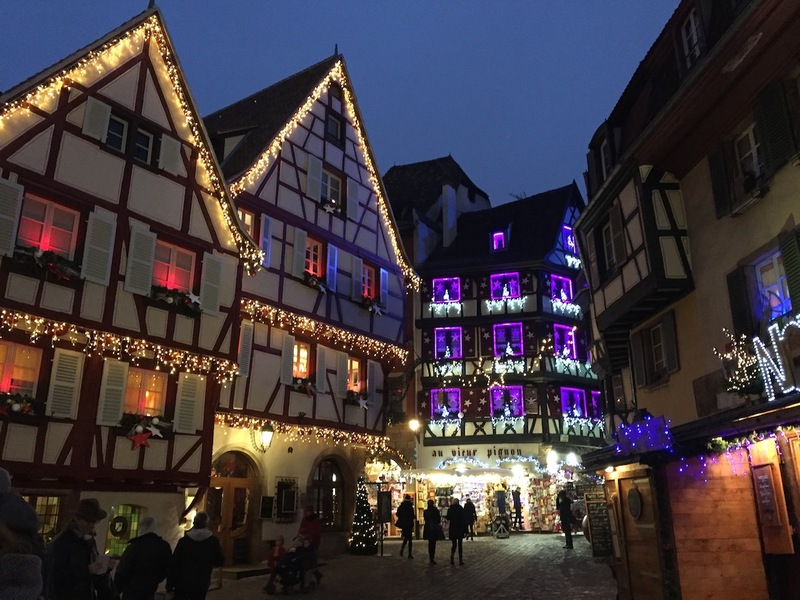 It is the most charming place I have ever visited. 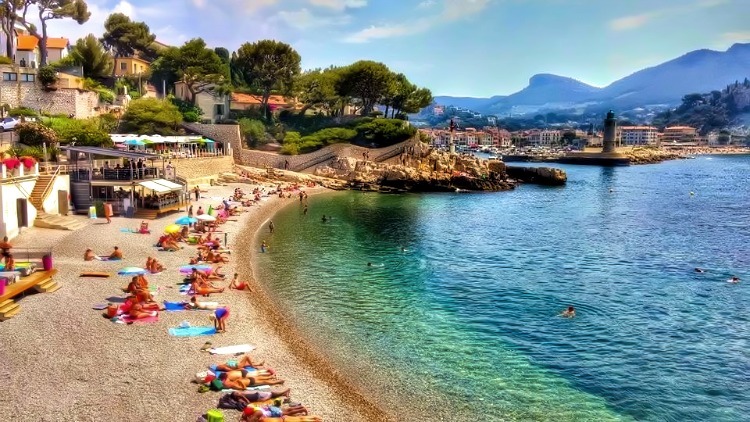 Cassis is located only about 18 miles away from Marseilles, which is easily reached from any place in Europe. The fastest route, with the usual traffic, is via A50. I recommend to take D559. It takes a little longer but delivers better views! Parking in Cassis is very difficult. Do your research before arriving. Many charming right-in-town hotels do not have designated parking spots. You will need to find a paid lot on your own. It will not be close by, so take everything from your car you may need during your stay. The good part? You do not need a car while visiting village of Cassis. All major attractions are within walking distance or accessible only by boat or hiking. There are two bus lines that start from the Place Castellane in Marseille: line M06 and line M08. The ride takes about 40 minutes. The bus will get you directly to the center of Cassis. It will also deliver great views of the French Riviera along the way. This is the least expensive and fastest way to get from Marseilles to village of Cassis. There are trains departing from St. Charles main station. Unfortunately the Cassis station is about 2 – 3 kilometers inland from the village/port and the shuttle bus is not very frequent. 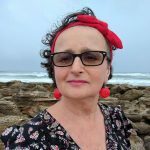 As a strong believer in traveling for free, I was determined to pay for my accommodation in Provence with points. That narrowed down my selection, but I was very happy with my choices and I strongly recommend both. This is a rather expensive hotel and in high demand. Still, with advanced preparation, I was able to use points I received for opening a Best Western Credit Card. I had just enough for two nights. 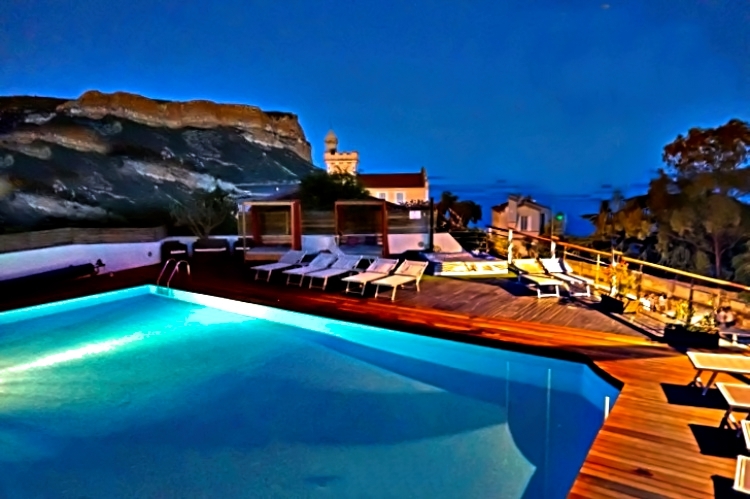 I loved the hotel, primarily because of its breathtaking views. The pool area is beautiful. The interiors are clean, tastefully decorated, and well kept. This hotel has its own parking. The only negative is that coming back from the village required steep climbing, but this is the small price you pay for the view. For this hotel, I used my Delta frequent flier miles. As soon as I walked into my room, I knew I made the right choice. I could not imagine a better location, in the center of town but still a little removed from its major traffic, and I had a little balcony to view it all! The interior looked recently renovated. The room was spotless and had all modern facilities while still retaining its quaint charm. If you are in a mood for something really special and have a pocket for it, Chateau de Cassis is a bed and breakfast just awaiting your arrival. 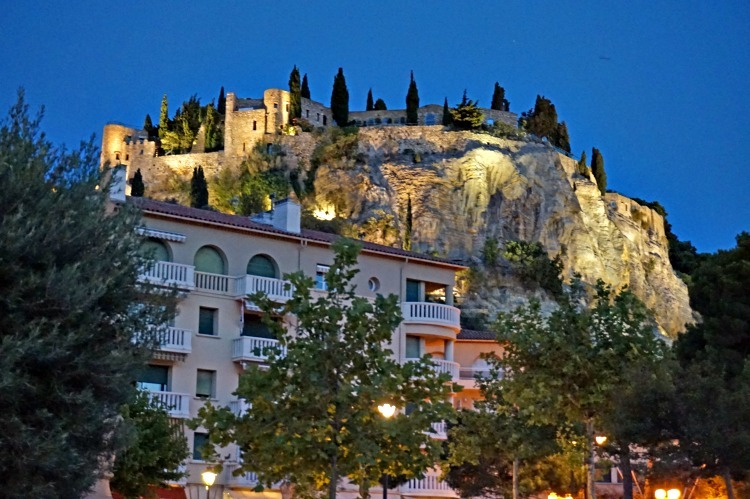 This 11th century castle located at the top of a cliff will offer you upscale accommodations and spectacular views over the Mediterranean Sea and the picture-perfect village of Cassis. 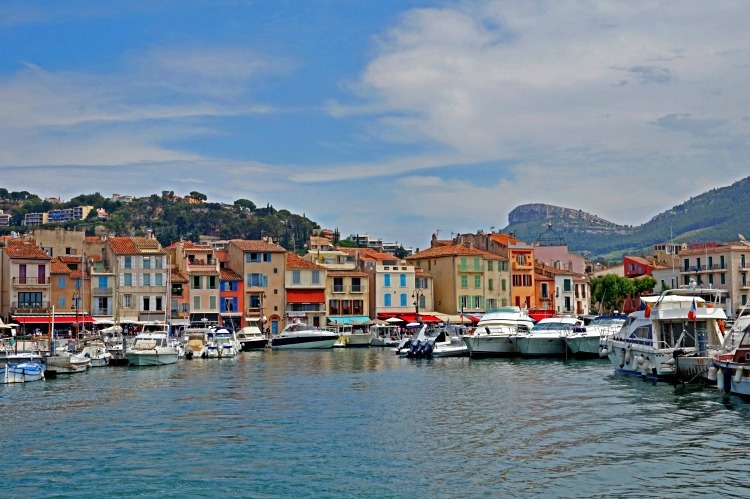 After spending four days in picture-perfect Cassis in France, I wished I could stay longer. I truly fell in love with it. This little seaside village sheltered by huge cliffs has so much charm and offers so much to do, you would never want to leave. 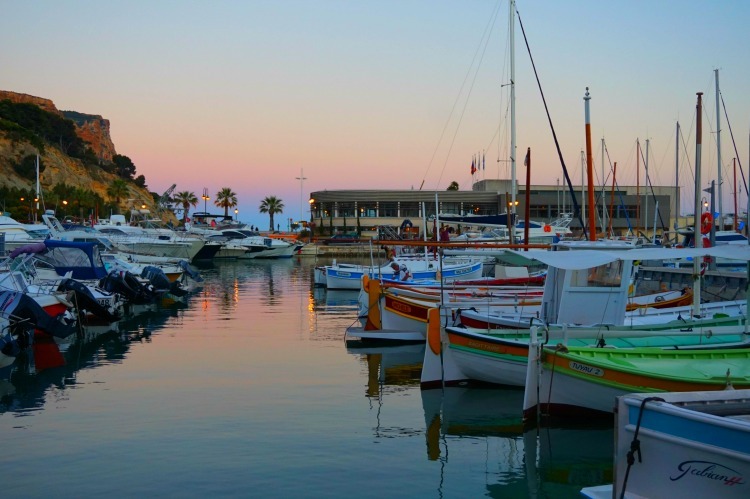 The port of Cassis is a wonderful place to stroll and watch colorful boats reflecting in the water. Here your worries will be washed away with the movement of water, the sun, the gentle breeze, and picture-perfect scenery framed with colorful flowers. Trying a local cuisine is always a part of my travels. 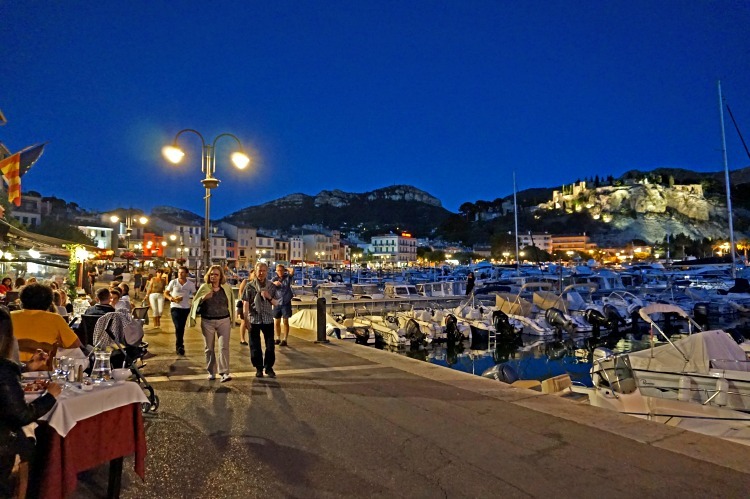 In Cassis, still an operating fishing village, I indulged in seafood available in numerous waterfront restaurants. 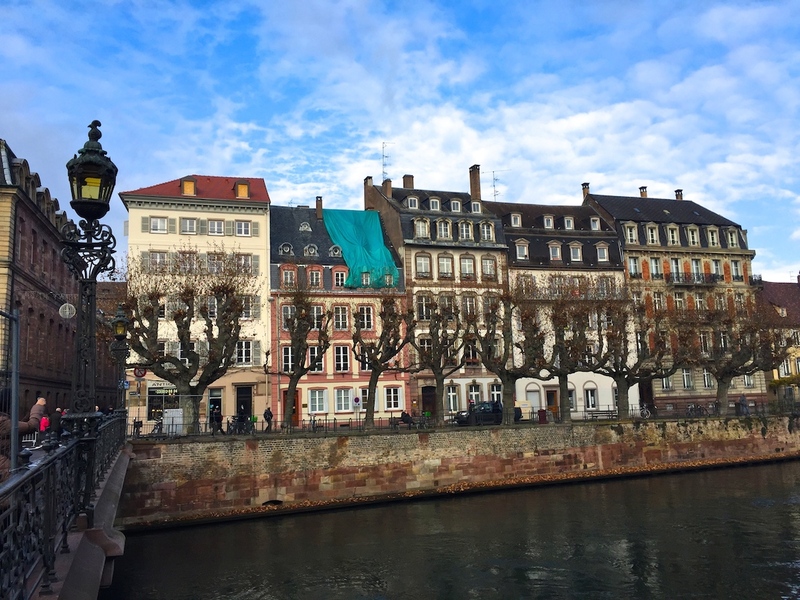 I tried my best in eating like a local in French Rivera and Provence. I mostly ate out and that gave me plenty of time (service, just like the village itself, is rather slow paced) for people watching. During the day, the most visible were tourists but at night it was showcase for local people. The French go out to socialize late at night. 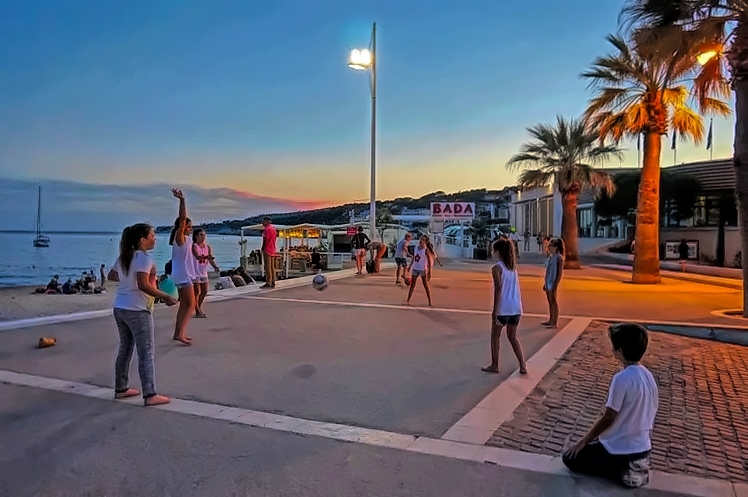 They play boccie, soccer, beach volleyball or simply hang around and chat. There was something timeless about it. You could feel that the old way of living still dominated the village. People were out, not glued to their TVs. Market days are Wednesday and Friday and are popular with locals and tourists alike. 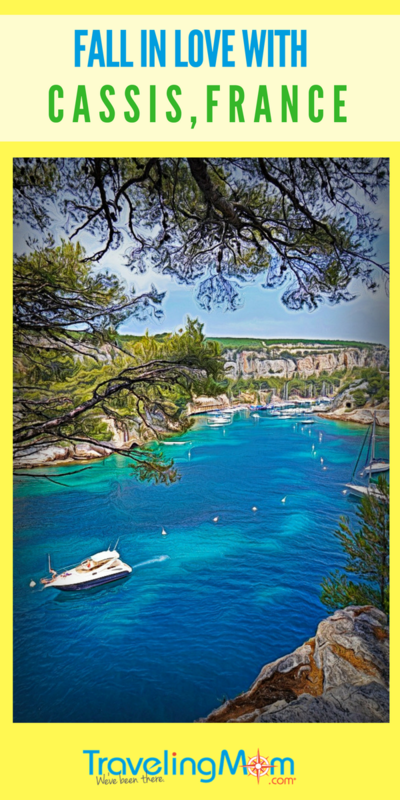 Cassis is famous not only for its picturesque charm but also for Calanques – limestone cliffs jutting into the sea, with narrow ravines between them. Numerous cruises are available to see them from the water. You can also kayak or approach them on foot. There are miles of hiking trails from Cassis all the way to Marseilles. Rocky beaches around Cassis are glorious. The farther you walk, the less crowded they become. Most of them have at least little spot where you can buy something to eat and drink. The water is clean and blue and perfect for swimming. Shopping can be fun anywhere. 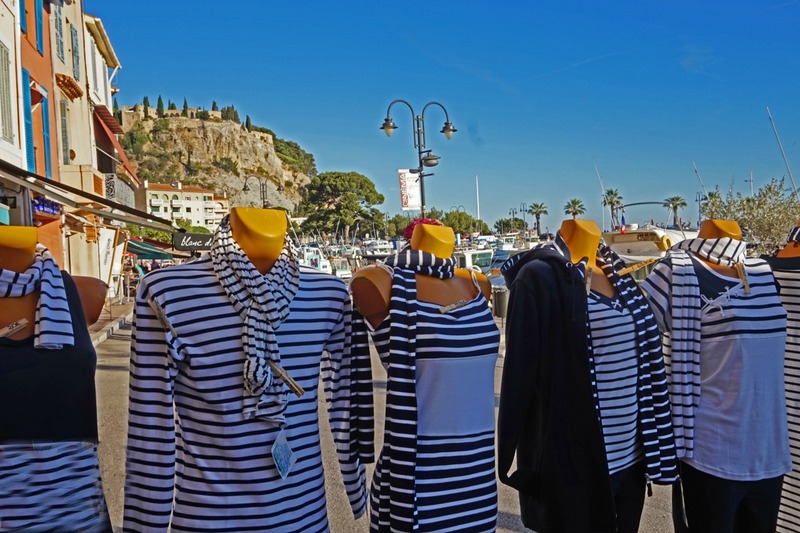 In Cassis you can find nice souvenirs and even fine clothing. 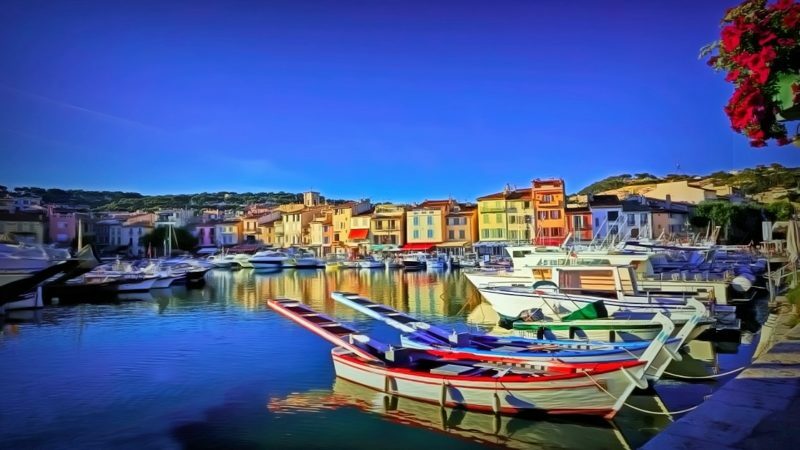 Southern France is all beautiful, but some of the most magnificent views can be found around the town of Cassis. From the village, you can also easily reach other spectacular sites of Provence .